We’ve heard of different people going to jail and how much of their life gets wasted while locked up, but it seems the story is not same for Nigerian rapper, SauceKid, popularly known as Sinzu, who just returned to the Nigerian music industry after spending two years in Jail. 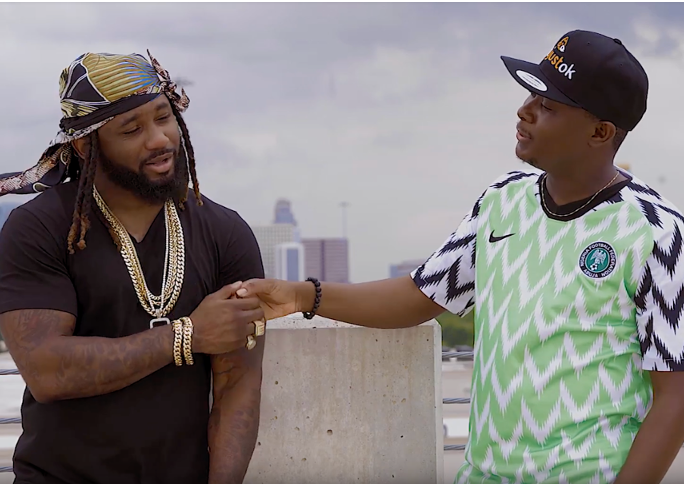 The rapper revealed that while things are no longer the same in the Nigerian music industry, Jail hasn’t been all that bad, truth is, Jail has actually been quite productive. The singer stated this in an interview with Ovie on NotjustOkTV, saying that his to years in jail hasn’t been that much of a waste of time as he had invested every time he had in his music and writing great songs. Opening up about his experience in jail, Sinzu stated that the experience has been quite a humbling one with him working in Jail and being paid $16 per month. But not dwelling on the financial rewards in prison, the rapper had focused on his craft, telling us that in the first year in prison, he wrote over one hundred and eighty songs and over one hundred and twenty songs in the next year, hence in the 20 months he spent in prison, he wrote over three hundred songs and has recorded about 17! (19:30-20:25). That is a lot of songs to last a long while. He went on to state that he can presently release about five songs if he wants but then we know with his new deal with Davido, we are definitely going to be hearing the rapper’s track sooner than we think. He further revealed that he’s planning on working with FalztheBahdguy and can’t wait to hear what they sound like together. We can’t wait too!